The Inland Insider covered Chino Hills girls soccer beating Corona Centennial in the semifinals and then Santiago in the championship of the North Orange County Classic on Monday. They beat Centennial 6-0 and beat Santiago 6-5 in penalty kicks after a scoreless tie. Checkout the highlights and video of the semifinal and final victories. At the Las Vegas Holiday Classic, undefeated Bonita swept its pool by defeating University (56-48), Liberty (60-40) and Georgetown Texas, (47-39). In Monday’s semifinals, Bonita (12-0) will take on defending champion Reno (NV.) at 11:40 a.m. In the earlier semifinals, Centennial will take on West Torrance at 10:20 a.m. The winners will meet in the championship later that afternoon at 3:40 p.m. If Bonita goes on to win the tournament and starts 14-0, they will likely remain undefeated through the Hacienda League before the CIF playoffs again. And you know what that likely means? An undefeated record almost certainly will result with an invitation to the Open Division to compete with the best of the best. Is that good or bad? 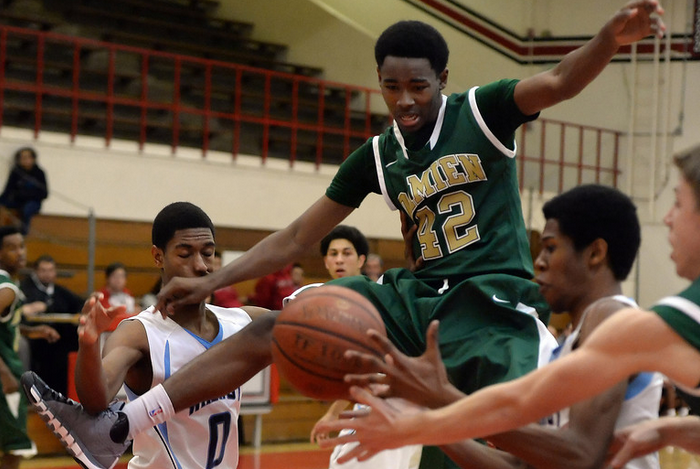 The two-time tournament MVP scored eight of the Spartans’ final 11 points en route to Damien’s 60-58 victory over Walnut to win its third consecutive tournament title. STORY: South Hills junior Jackie Zermeno and sophomore Amber Marinero each scored twice and Hailey Zerbel put on a passing and shooting clinic to lead the high-scoring Huskies to a 9-1 victory over host Walnut to win the Walnut Girls Soccer Tournament Monday night. Five other players also scored, but it was the speedy Zerbel who ignited the highlight goal of the night with a flip-throw in that bounced off a couple of players in the box before Marinero flicked it over Walnut’s goalie, Elena Trigueros to give South Hills a 3-0 lead. Info: Two days of learning to hit, field and throw. Glendora High School coaches and players will focus on fundamentals and mechanics to help you take your game to the next level. Players will be divided up into smaller groups to allow them to work on all parts of the game. Don’t miss out on all the fun! LUNCH INCLUDED. CONTACT: Jeff Kaye at 626-261-1034 with any questions or reservations. Please fill out player registration form. By Aram Tolegian Greg Gano is back in Hacienda Heights. 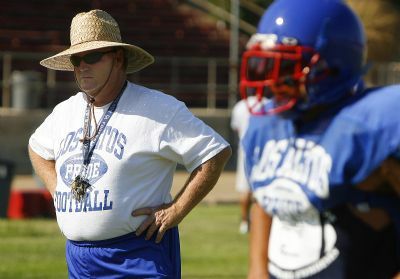 Gano, who won four CIF championships at Los Altos, was named head coach of the Wilson High School football team last Friday. Gano is the fourth head coach at the school in four years … conversely, Wilson is Gano’s third job in the past two years. “You always think the grass is greener and it’s not, and I’m back in the district where I spent most of my coaching career and I’m excited about being here,” Gano said.Wilson’s football program has fallen on hard times in recent years. The Wildcats were 1-9 this fall and didn’t win a game in the Valle Vista League. Nick Christos, who was in his second year at the helm, resigned as head coach shortly after the season. Prior to that, the Wildcats were coached by veteran Bob Burt, who was brought in to stabilize the program after the hasty exit previous head coach Brian Zavala. Burt was also supposed to mentor Christos, who served on Burt’s staff.